Travel has always been a part of my DNA. Long before the adult gypsitis set in (yes, I made that up), and despite the fact that I was in a military family living all over the country and the world, I traveled through books. As a voracious reader, I went to the far corners of the world, soaked in the sights and sounds and learned about culture and history through the written word. At eighteen when I left home and moved to the San Francisco Bay Area a new vehicle for exploration emerged. One that has stuck with me for the last twenty plus years. Grounded by school commitments and budget which prevented actual travel, I immersed myself in the amazing international environment of San Francisco. I learned about temples, tropical fruit, the complexity of layered flavors and the regions of Thailand from the owners of the newly discovered Thai restaurant down the street from my apartment. With three or four visits a week, I explored the culinary areas of this unique Asian country with flourish. A group date took me to an Ethiopian restaurant where I discovered there was more to this beautiful African country than what I had seen on TV or LiveAid concerts. I also learned of the existence of Eritrea, a country I had never heard of and tried dishes from this Ethiopian neighbor that knocked my socks off. These culinary moments and many more created the type of traveler I am today. Food is core to every place I go. I don’t remember my travels by the dates of my trips but rather the food I ate. I can’t remember how many times I’ve been to Tokyo, but I do remember a 5 a.m. sushi breakfast at Tsukiji Fish Market and tonkatsu with colleages at Mai-sen and an amazing tofu dinner with friends at Tokyo Shiba Tofuya Ukai Restaurant. I have loved my trips to Italy, one of my favorite countries in the world, but it is not the cities the call me back, it’s the dishes. 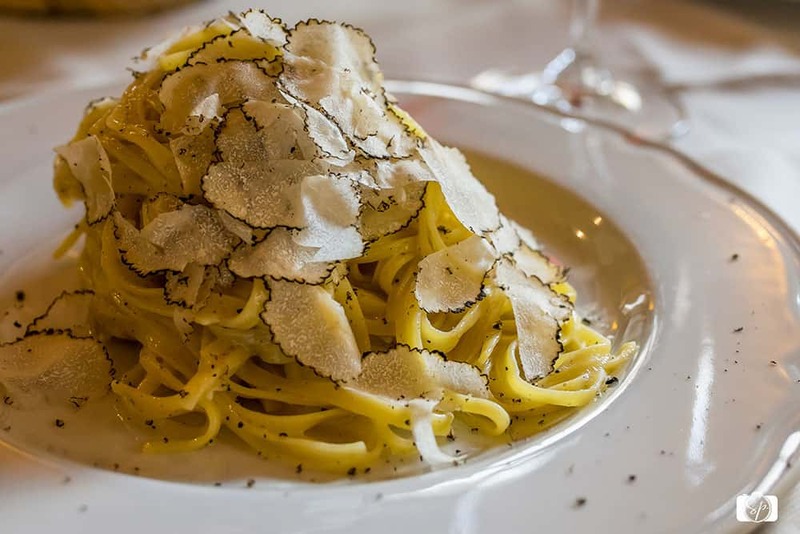 Linguine vongole in Rome and a best-meal-of-my-life white truffles lunch in the Tuscan countryside. 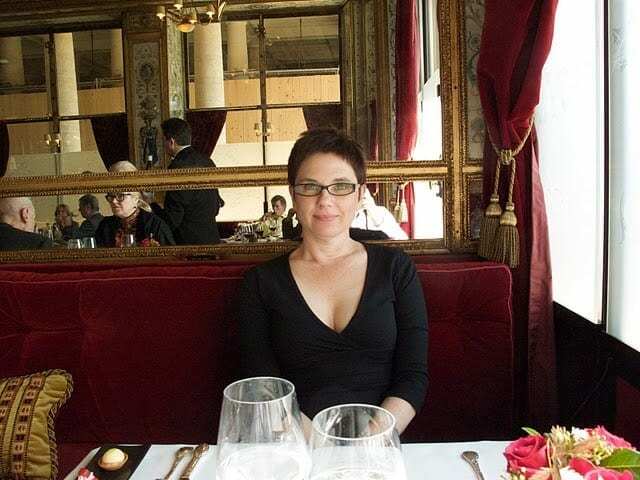 And don’t get me started on Paris, I have been there so many times the trips all blend together, but the lunch at Grand Vefour in the Palais Royale? Unforgettable. Especially the tiny wild strawberries that are available for only a very short time in Haute Savoire region. And on and on and on. Me and food, we are inseparable. And it is not just exotic international cities; no there are places that call to me domestically as well! 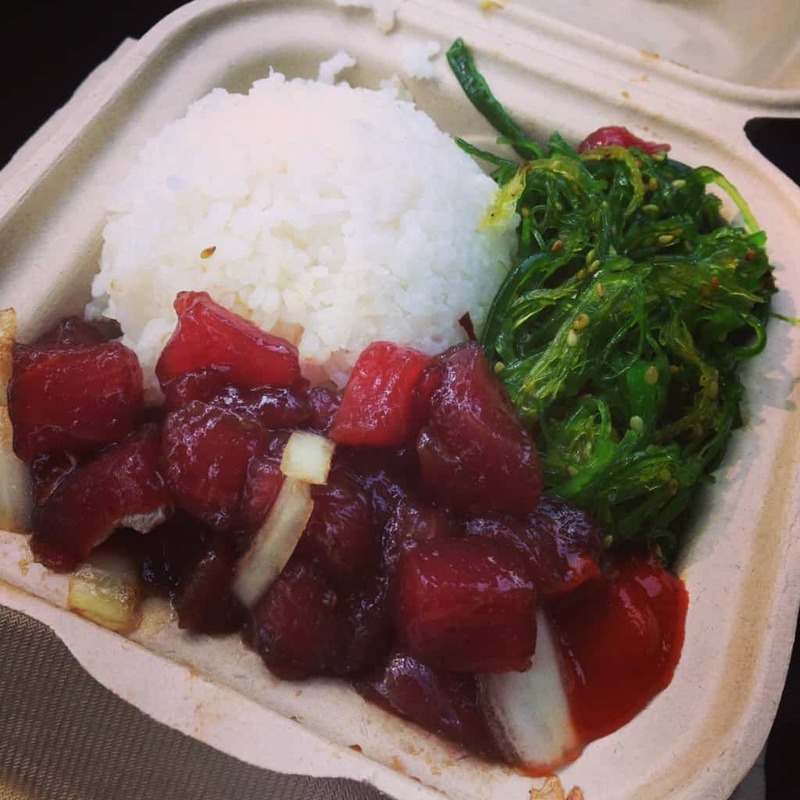 Poke in Hawaii, an unforgettable lobster roll in Boston, an entire foraged dinner in the San Juan Islands, food is my connection to any place I visit. I also travel *for* food! While living in France, Mr. Misadventures and I drove 3 hours to an abbey in La Drôme where the monks fabricate syrups for water. The entire trip was planned around that syrup and worth every kilometer. When you find unique products made by special people it is worth it, whatever the distance. Those syrups were memorable. So much so that when we were in Paris for Thanksgiving last year we tracked down a tiny store that sells monastery products and bought three bottles, sacrificing precious baggage weight in our suitcases! That is just how we roll. Local products with great history is so worth to us. Our way of exploring a place. While Mr. Misadventures is scoping out where to take photos, I am looking for where we are going to eat, what are the local foods and who are the people growing them and creating them. I strongly believe there is no better way to connect to a place than food. If you have been reading Misadventures with Andi for a while you know that the hubby and I are on a sabbatical for 2016, traveling the U.S. in our RV. While this allows me to see parts of the country I would not have likely scene, not every place has a lot to offer from a food perspective. Enter Hole in Wall to save the day. I am not getting a lot of packages these days given I am hard to track down, but I am making the effort to get these babies. Created by food-obsessed travelers who want to spotlight unique places and small local artisans, Hole in Wall is the perfect way to dig deep into a location. Whether you have never set foot out of your town or are on the go all the time, Hole in Wall brings the world to you. 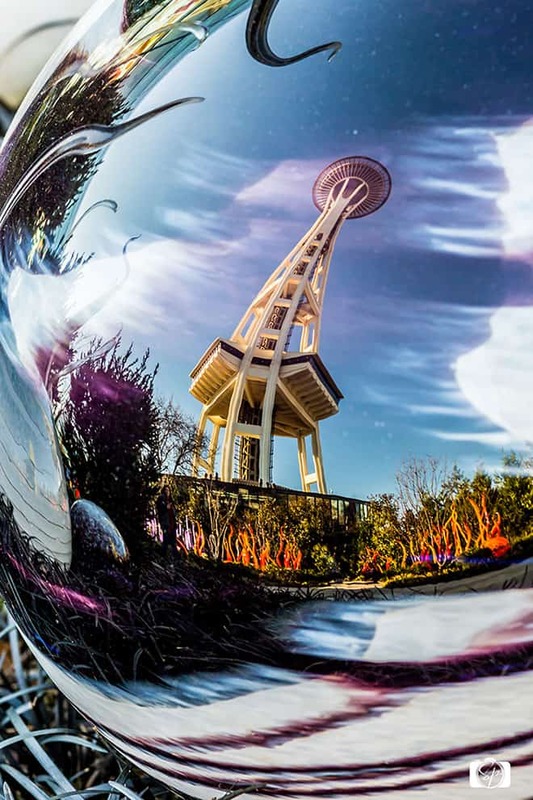 Take the latest box from Seattle, a place that is near and dear to my heart. I went to high school in the greater Seattle area and even though I left when I graduated, I go back time and time again. In fact it is a candidate for places to live at the end of our sabbatical. I love this place so much and of course the food here rocks. This area of the country produces amazing fruit, wine, seafood, there is no way you can go wrong when you visit (or if you live here). 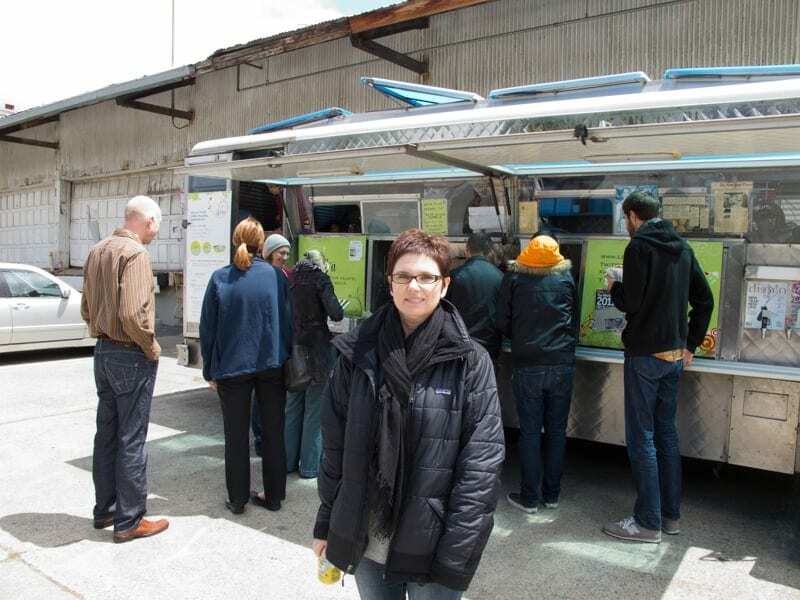 But if you can’t get to Seattle, or if you’ve been, like me, and are missing the local food scene, the Hole the Wall Seattle box is got what you need! > Boehm’s Chocolate Bar: an extraordinary example of the handcrafted artisanal chocolate coming out of Seattle. > Chukar Cherries: Washington cherries are the bomb; add pinot noir and they are out of this world! > Herbn’ Farms NW Seattle Salt: little known secret – Pacific Northwest has great salt. This blend has lavender, sage and thyme. > Holmquist Orange Honey Hazelnuts: I’ve only had the savory ranch falvored hazelnuts, the orange ones are delish! > Jonboy Whiskey & Smoked Salt Caramels: two of my favorite things added to caramel, how can you lose? > Tiny’s Organic Dried Bosc Pears: the perfect snack for a hike…or a glass of wine! Besides the wonderful food, there are two beauty products that you are sure to love: The Fay Farm Healing Hemp Lotion and Moon Valley Organics Vanilla Lemon Lip Balm. As someone who lived in the area and visits often I can tell you that Hole in Wall nailed as far as their selections go! In this case, I am going with the original as it does add to perfection! Proof: ONE > My good blogging friend Brianna of Casual Travelist has been blogging about her out-of-the-ordinary trip to Québec City. I have been so jealous. I am burning up here in the Southwest while she is bundled up enjoying the winter festivities and eating her way through the cobblestone streets. I am totally jonesing for candy-maple taffy now. TWO > I am attending the Women in Travel Summit in Irvine. The day the conference starts I’ve been invited to a lunch reception by the folks at Québec City Tourism. The opportunity to learn about a destination I have yet to visit while eating? I’m there! THREE > The latest Hole in Wall box features Québec City! A trifecta right? Meant to be and as I said, those three items add up to perfection in my book. I can’t get to Québec City right now, so I am going to explore it via the tasty treats included in this box. Québec City is only the THIRD box from Hole in Wall, so you haven’t missed much! They launched this past December with a box from San Diego followed by Seattle. The boxes come out ever other month and you can order just one-off boxes or sign up for subscriptions in 6-month (3 boxes) or 12-month (6 boxes) increments. You choose what works best for you. I’d do a box a week if I could! Do you a have a traveler in your life who you are constantly trying to figure out what to buy for? Is there a foodie in your social circle that lives to find those unique taste experiences? Do you know a do-gooder who likes to support local small businesses? As someone who relates to all three of those personality types I can tell you that these Hole in Wall boxes make a great gift as well (hint, hint). I also think these boxes offer a great opportunity to share the world with children. There is no greater lesson to teach kids than providing them a global experience. To teach them that the world is a big place full of people with lots of differences, but that respect and open-mindedness is essential. Food is a great pathway to that lesson. When it comes to travel and exploration, whether it’s the next county over or someplace across the globe, I am going to be exploring it through food! Disclosure: This is a sponsored post brought to you by Hole in Wall. All opinions are my own. Great Post! I love trying all different foods and try all the local delicacy when abroad! @Sara, what has been your favorite item you’ve found? I love trying foods from other cultures. I just love to eat, so I always say Mange! @Robin, it is a wonderful way to explore the world! I love different types of foods and this would be such a fun way to try them! Traveling the world like you would be even more fun but until the kid’s get grown, this is a great alternative! @Chloe, I totally agree. Food unites people. You don’t have to leave your house to discover great local finds, they can come to you! Where is the Pike St. Market tea in the Seattle box? I adore that stuff! @Cindy, so true! There is enough in Seattle for two boxes! Isn’t that amazing! I love box subscriptions with food as well and what better way to travel through food than with these! That’s an awesome haul! I would love to try the caramels, the cherries, and the chocolate! @Elizabeth, looks like you have a little sweet tooth! Takes one to know one! I wish I could travel as much as you! The things they sent you in the sub box must have been really fun to try out! @Liz, you can travel virtually through books, movies and food! The food is delish! What an awesome idea! I also love to travel, and some of the food I have tried has become a major association with my trip. Certain smells take me back to different parts of the world. I would love to try the syrup made by monks! @TravelBlogger, I didn’t even think of smells, so true that they are closely associated to travel memories as well! I really love trying goods from other countries! What a beautiful post – love the pics, Mr. Misadventures. I love box subscriptions, too. Andi, you look beautiful!! @Jen, that was 5 years and 25 pounds ago! Oh how I love traveling. This sounds like just the subscription box for me. @Dawn, if you love travel this is the one! Those food are looks so yummy and tasty! These are fantastic. Cool subscription box! I haven’t heard of this one before. Very nice idea! I visited the site and the subscription is $35/month + shipping. I guess that’s pretty reasonable. Hmm… this is very interesting indeed. I’ll have to have a discussion with the fiance. salt caramel and honey hazelnuts sounds very nice and yummy! thats a lot of things inside the box! its worth it! @Tauyanm, I love anything with sea salt! I grew up in a military family and lived all across the country and the world. I catch that travel bug often and my favorite part is trying all of the cuisine from different countries. Thanks for the giveaway! @Kendra, sounds like we have similar backgrounds. I am an Army brat that also lived all the world, it is how I caught that travel bug! @Ashleigh, I think so too! I like to try new foods. This sounds like fun to try. I haven’t heard of Hole In The Wall but it sounds intriguing! This is such a cool idea! When I travel, seeking out the unique local foods and the places only the locals seems to know about is one of my major goals. 😉 Love that this subscription box brings all of that to you- the best of local foods & eats- from all over the world. Oh man! That box of goodies would feel like Christmas once a month! It’s the kind of thing I shop for when traveling. Excited to learn about them! What a great idea! Enjoying wonderful foods from the areas I visit are a highlight of my travels. We are a two of a kind, Andi! I can relate on all levels! I too, am dying to go to Quebec! Maybe later this year and wouldn’t it be great to meet there?! How fun this Hole in the Wall subscription is! Like a birthday surprise every month! Love it! How awesome would it be to try and sample different types of food. Sounds so good and fun to share with my kids too. Hello! I am a follower now! Will look at Quebec as my grandmother was from there! Have always wanted to visit! Glad to be aboard! Very enjoyable read, Andi. I’m off to Hole in the Wall now to find out if they ship to Canada! I’d love to travel and try authenic regional dishes! Italy is at the top of my bucket list. I really love this article, even though it made me hungry lol. But I agree, food can be very memorable. This is a great idea for an adventurous eater. Nice to be able to travel and try different foods. I’m not able to travel a lot. It sounds fantastic to be able to. I am not as brave as you! I love food but I won’t eat anything that swims! I must have had a bad experience as a kid. I just can’t do it. I lived in Hawaii for many years and people love to say the fish must have been amazing! Ummm, not this girl! I never heard about this subscription box, I will definitely have to check it out. It is amazing how the subscription boxes these days allow you to try different cuisine without leaving your home. @Kimberly, I know and with this one, you get to pick and choose the countries you want.